The BBC featured the Peake family business in the first of 3 “Troubleshooter” TV documentaries in which Sir John Harvey Jones, the ex chairman of ICI, advised 6 companies. What happened next? Family Business United is delighted to invite you to join us for a truly unique event at the Stoke by Nayland Hotel, Golf & Spa which is part of the family–owned Boxford Group, which also includes the Boxford (Suffolk) Farms fruit growing enterprise and Peake Fruit, a fruit packhouse, storage and marketing business. A lot of 'difficult conversations' were raised during the programme and the Peake family continued to develop the business to the one that remains today. 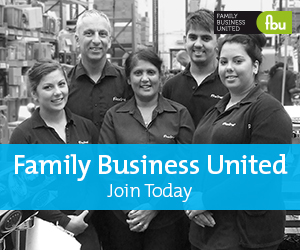 FBU have teamed up with the current generation of the family to provide a unique family business experience. Join us to watch the original show at the hotel and then hear from the family how the business has changed, the lessons they learned, what they took on board from the show and what they ignored. This event is one of the 'Meet the Owner' series and we are delighted to be able to host such a unique event too. This event is being put on to coincide with East Anglia Family Business Day 2019.